Alicia Pedimonti owns a finishing operation with her husband in New Hampshire. They market more than 100 pigs annually, directly to consumers. She also works as a veterinary technician for the New Hampshire Department of Agriculture. 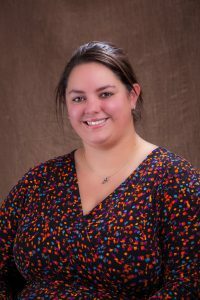 Alicia currently serves as the executive director of the Northeast Pork Association. She is finishing her first term on the National Pork Board. Alicia is a member of the National Pork Board Budget Task Force and a past member of the Nominating Committee. Alicia is also a part of the New Hampshire Farm Bureau and the New Hampshire FFA Alumni. I consider the major issue facing the U.S. pork industry (and in reality, that of much of the world) today to be African swine fever (ASF). As we monitor the status of this disease in China, it is becoming apparent that it is not under control at all as more farms break with ASF each week. The implications of this reach to every aspect of the industry. There is the potential for the disease to spread to other countries as seen in the documentation of it in feral pigs in Belgium. The concern of spread to the U.S. through infected feedstuffs or illegally imported meat products is very real, and the need for the implementation of the Secure Pork Supply is more urgent than ever before. As China depopulates some of their swine herd due to this disease, it may shift the international marketing landscape and could potentially open up more export opportunity for the U.S. (although not immediately). We must be more diligent than ever in our biosecurity and utilize safe feeding practices such as allowing imported feedstuffs to sit for at least 60 days and stopping the feeding or meat waste (or at the least taking even more care to cook properly and reduce the risk of contamination). The main goal of the Checkoff and National Pork Board should be to remain compliant with the Pork Act and Order and as we state in our mission, we should be the “…catalyst that unites pork producers with key stakeholders focused on building a bright future for the pork industry through research, promotion and education.” We achieve this by moving at the speed of business and maintaining a high caliber staff that consistently thinks outside of the box and implements innovative programs that support our mission. One way that we accomplish this is that while we begin the strategic planning process, we create a fluid plan rather than a static plan to last five years as we have done in the past. We should continue to fund innovative research in areas such as antibiotics (resistance, use, and alternatives), foreign and emerging animal diseases, as well as diseases of economic significance, public health, and animal welfare. We should work to continue to elevate pork as the global protein of choice through an international marketing program that is stronger than ever and by providing our domestic consumers with an enjoyable eating experience that is both consistent and affordable. And we should educate our farmers and consumers. We achieve this but maintaining an adaptable and strong producer services department to reach producers in every state with operations of every size and by letting our consumers know that pork belongs on their plate because of taste, value and nutrition. I believe in the future of agriculture. Those seven words have guided me since high school. They were the reason I wore a blue corduroy jacket and reason I now wear coveralls and muck boots or a pork polo. That belief in the future of agriculture is what has inspired me to serve the industry that has been such a huge part of my life. My experiences are unique from what many other producers currently bring to the board. I bring with me a graduate degree in public health, experience working for the state veterinarian and NH Department of Agriculture for seven years and working as the Executive Director of a regional pork association, and the experience of running a small, niche family farm. All of these experiences have shaped the perspective that I bring with me to the board of directors. The past three years on the board have been an incredible experience that was eye-opening and fulfilling beyond what I could have ever imagined. I would be honored to have the opportunity to experience this for another three years.